THE QUEEN’S principle is to grow capable people who can use English and open the gate to the world through English education and art-supportive activities. In this global era, it is nothing to say that Japan is the only out of date country in terms of English communication. People active in the world are just a piece of the puzzle. Here, we reached some conclusion based on both practical studies and professional knowledge: teachers’ qualifications, the environment, and management style. First of all, teachers’ qualifications are very important. Most English-teaching schools in Japan have been employing native English speakers. My point is that they are just native speakers. It is not a problem whether they have a degree or on due to working visa criterion. What is worse, they don’t know how to teach English. They only enjoy pretending to teach English to their customers as a business. I would like to be able to teach Japanese in a foreign country without knowing a foreign language, wouldn’t you?? I know most foreigners are cost sensitive; therefore, it is quite clear that most of customers will complain to me. It might be true that most Japanese still think foreigners are better than them despite the fact that foreigners are almost same as Japanese except speaking different languages and trivial things. Therefore, in order for Japanese to improve and develop their English ability, it is very important for us to employ qualified English teachers. Secondly, English learning environment is absolutely poor in Japan. Most English schools in Japan put their student in a square-concrete jungle for 50 minutes or more. Can you imagine how stuffy this is? On the other side, from a? business point of view, it is reasonable doing so. In other words, putting money into the bin. However, THE QUEEN’S has only two classrooms but their interior is both functional and English like. Lots of prospective customers give us comments that they feel as if they are in England. Even it is not England, they say that they feel in different world or different countries. Furthermore, after the lesson, most English-teaching schools don’t give any chances to practice their English. Even it does, a?fee charges. We, THE QUEEN’S, provides a chatting salon to all the customers with some free beverages. Fundamentally, it is important to give; otherwise it is easy to forget English.Therefore, THE QUEEN’S provides a non-Japanese environment for customers demand. Finally, management styles are reflected by host companies. English teaching schools are mostly distinguished into two; franchisee and local. Most franchisees must use their own text books due to both keeping school quality and teaching English easily; on the other hand, it has killed teachers’ creativity and complaints. The classes go forward based on the curriculum to finish the text even if the students don’t understand or enjoy the class. Is it really?good English teaching style? I know some English teachers are really contemplating how they can improve their students’ English. However, their efforts go unrealised due to school regulations. We, therefore, do give our customers a sheet of paper created by a teacher instead of any course-books. Of course, we prepare the course books not for students but as?the teachers’ resource. In this point, THE QUEEN’S demand creativity and responsibility for their teaching style. Moreover, local English schools are run by just native speakers or just by house wives as?a part time job. My point is , it is doubtful whether they can teach English and let their customer satisfy. Therefore, THE QUEEN’S is a pure start-up company without any funds with flexibility and responsibility for not only teachers but also our customers. In conclusion, THE QUEEN’S has been funded, constructed and challenged with ambitions to be a real English-teaching school in Japan improving the underlying problems such as teachers’ qualifications, environment, and management style. This is our motto. Nought venture, nought have. Here is THE QUEEN’S Manor Manual _2016 for the teachers. Please refer for the details: Salary,Accommodation and so on. I would like to send the manual to the prospective candidate for the further discussion. Himeji Station. 30 minutes away from Osaka by a bullet train, Shinkansen. 600Km away from Tokyo; however, it takes only three and half hours by Shinkansen, NOZOMI. Please come down to Himeji, a historic beautiful city. 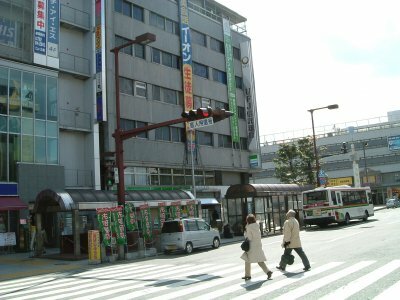 This is an entrace to MIYUKI street, where daily stores are open for all. It might be interesting to explore. This is Himeji castle. Enjoy it. Hyogo locates at the edige of historic cities such as Kyoto, Osaka and Nara. Hyogo is 120Km away from Kyoto. Local trains takes you Osaka in about 60 minutes and Kyoto 90 minutes. Tokyo locates about 600Km away to the east. It takes 3 and half hour by a bullet train, Shinkansen. THE QUEEN’S is an ambitious English school whose purpose is to grow capable human resource to the world. Teachers are free from traditional frameworks. The only aim is to develop customers’ demand. Therefore, THE QUEEN’S demands you to be creative, challenging and tolerant. Come on, join us and enjoy! THE QUEEN’S expects candidates to teach English your own way based on your certificated knowledge and experience, to chat at the salon in order to develop customers’ speaking ability, and to broaden your horizons in Japan through not only customers but also visiting various places. If you don’t have enough experience, you need a certain training period at THE QUEEN’S. Candidates must have at least BA degree due to work visa requirement. Candidates also must have experience with children and teaching very young learners. Our students range in age from 1 year old. As such young learners qualification would be desirable. Only candidates who meet the above criteria will be considered for the position. teaching hour a day is up to 6 hours. Teaching hour is various in a week; however, it is up to 6 hours a day including outside teaching, which our staff takes you to working places. The rest working hours are to be not only for your preparation time but also chatting with customers at the salon. Teachers have an hour lunch break and eight hour working time. We have the cosy salon open to all the customers for their English practice but not for the lessons. This means that the customers want to talk and absorb some knowledge from native speakers, because they rarely have chances to have conversation in English in their daily lives in Japan. I hope you can accept this company philosophy.The working day is from Tuesday to Saturday which means that Sundays and Mondays are off. THE QUEEN’S provide gross 250,000 yen per month including rent, gas, electricity, and water + 25 paid holidays ( including sick days). For visa concern, we are quite happy to change your tourist visa to working visa at the immigration office. We are happy to grant you a coming air ticket up to 50,000 yen subject to six month completion. Of course, at the end of one year working visa, we promise to give you 50,000yen!! We offer you flexible holiday scheduling with request in advance. You can contact our teachers for further information. Any free-mail is not available for both benefit. １．Send us your inquiry with your CV or Resume and some relevant documents such as a certificate and a photo. 2. We would like to reply to prospective candidates with some questions. 3. Please answer them. We would like to welcome your questions including the working conditions,etc. 4. We would like to arrange the Skype interview. 5. We would like to agree to work for THE QUEEN’S. 6. Finally, please arrange your flight on due date. 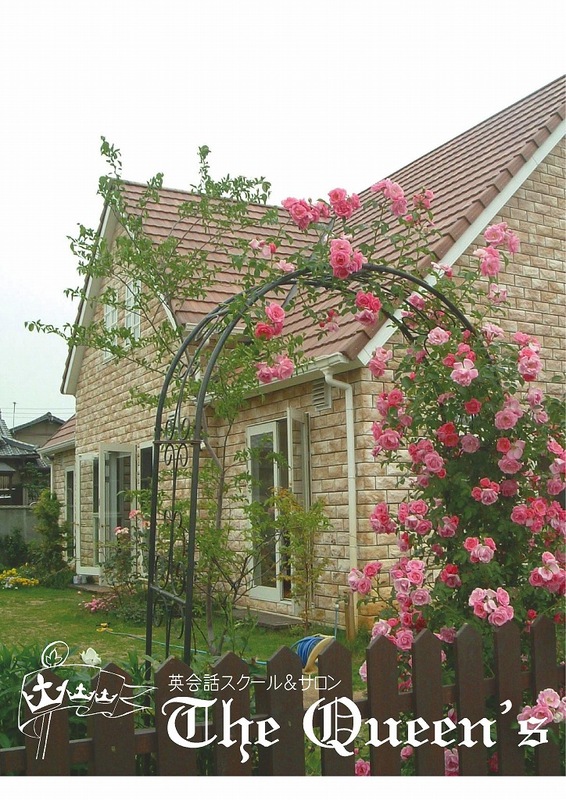 "2-47-2 Ebisumachi, Otsuku, Himeji, 671-1136, JAPAN "
The Queens is located in the small, peaceful town of Himeji which isn’t too far from Kobe and Osaka. Near the Queens Manor are some parks, restaurants and cafes which you can visit during your lunch break. There is a large shopping mall in the area which has many restaurants and an assortment of shops and there are train stations nearby: the train service is the best I have seen anywhere!! It is also very safe here, as a woman I have gone out alone in the evening and felt completely secure. The school consists of a varied age group and ability; ranging from primary school children to adults. The teacher is required to plan and create individual lessons which I found hugely rewarding, as it allowed me to create tailor made lessons that fulfilled the individual students’ requirements and interests. There are also days when I go to the nursery/kindergarten to teach young children, I am always conveniently driven there by the school’s director who is a wonderful, supportive, understanding and very kind lady!! The school has a chatting area referred to as: The Salon; often students come into the salon to have informal conversations and this enlivens the day as the topics of conversation are very colourful and insightful. The students are also very helpful, embracing new comers warmly; I have formed many good friendships with the Queens students who are willing to help you with adapting to life in Japan and giving you information. The school has a resourceful library, containing material for children and adults. There is a wi-fi connection and access to printers, scanners and games. The Queens has activity days throughout the year when barbeques and curries are made; this is a great opportunity for all the students to gather and socialise with one another and the teachers in a relaxed and jovial atmosphere. The apartment I was given was fully furnished, with unlimited internet access, tv, fridge, rice cooker, crockery, cutlery etc. I would recommend the Queens to any teacher who is passionate about teaching and helping students to improve. I have been asked to give my E-mail address to a candidate for the position as teacher in Queen`s and am delighted to do so but as I am flying to KL tomorrow then a small Indonesian island with no Internet after that, for a holiday, I will try to give a brief description of the job. I have been working in Queen`s since July. Before that I worked in a good national plus school in Indonesia for a year, in a couple of language schools and as a classroom assistant in the UK. My previous jobs were good, but working in Queen`s is the by far the best job I have had. It is a small family run business, catering students with a variety of ages and needs. Class sizes are very small. There are only two classrooms so its a friendly, intimate setting. Most classes have only one or two students but some have 3 or 4 and I think I once had 5 students. We also go out to nursery schools which are big classes held outwith Queen`s. Teachers are free to work autonomously. However both Osamu and his wife, Ekuko are very supportive. Ekuko is a skilled, creative teacher and I have learned a lot of her techniques in nursery education, which was new to me when I arrived. She is also able to advise on teaching adults and teenagers and is very knowledgeable. Despite this, she is extremely respectful and allows me to do my own thing without any interference. It is important that the teachers can build rapports with customers, since it is a small friendly place where customers come to socialise as well as learn. The job requires us to create or adapt individual lesson plans for students. Teaching time is not high and there is ample time for planning. The atmosphere in the staffroom is relaxed and easy going. The challenges of the job for me are cultural, having come from Indonesia, I initially found the people here reserved and felt slightly isolated at first. I have come from one extreme to another as far as people giving me space is concerned. It took me a little while to settle in but has been worth it. There is also less English spoken here than in Indonesia because people are worried in-case they make a mistake. Accommodation is in a small but comfortable and well equipped flat. I have not had to buy anything for the flat and have been given a bicycle for transport. I enjoy the cycle past fields and along lanes to work-there are plenty cycle lanes here and cyclists seem to have right of way evrywhere. There are a TV and Internet connection installed and included in the rent but the amount of English TV is very limited so it would be good if you had a laptop to download films or books to read. There is a small veranda which is nice. The surrounding area is suburbia with a lot of vegetable plots, rice fields and rivers with nice birds. The majority of the buildings are one or two storeys with some 4-5 storey flats dotted about. The air quality is good and you can drink the tap water. There is ample public transport and are plenty of places to shop locally. There are lovely shops and restaurants etc. 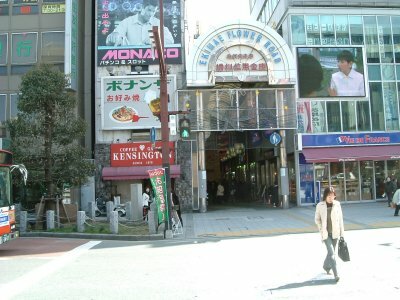 in the centre of Himeji, in attractive arcades. Himeji, and the castle, is a 190 yen, 2 stop journey on the train. As I am getting up early to catch a flight from Osaka, I will sign off just now but will be glad to answer any questions as truthfully and accurately as I can-I will try to get to an internet in KL or Banda. I will be back at Queen`s on Jan 3rd. Aboshi is a fairly small town about 10 minutes outside of Himeji, in the Kansai region. It’s a quiet but picturesque town. There are two rivers, which in springtime are lined with cherry-trees. Five minutes from the school is a large Aeon mall that contains, among other shops, an international food store, an HMV, a Body Shop an electronic goods shop and various clothes stores. 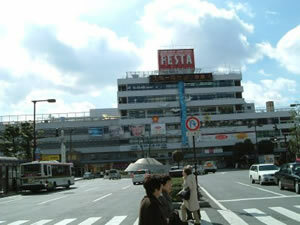 In town also there are several restaurants and supermarkets, a swimming pool and video rental store. 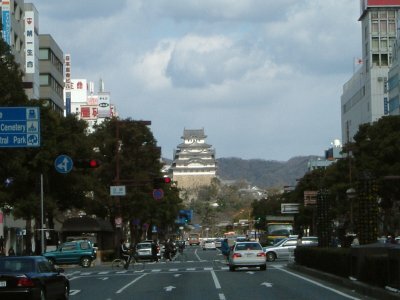 Himeji is a busy town with one of the most famous castles in Japan. We are also within a couple of hours of some of the most beautiful and historic towns in the region: Kobe, Kyoto, Nara, Osaka and Hiroshima. Himeji station is on the shinkansen line, and so provides fast and direct links to key points all over the country. The Manor is a purpose built school with excellent facilities. Photocopiers, printers, laminators and laptops with Internet link-up are all available for teacher use.? Also available are a wide variety of lesson resources, such as textbooks, CDs and children’s toys. Because there is no set curriculum and no set textbooks, working at the Queens affords the teacher a great freedom and opportunity to design and deliver lessons in a manner that can really benefit the individual students. At the moment there is a 50/50 mix of adult and child students. The children range in age from 1-10 years old. The children are taught in a specially designed playroom with heated flooring, the adults are taught in ‘the dining room’ around a large table. In between lessons, students are encouraged to come to the Manor to chat to teachers in an informal setting over tea and biscuits. Mothers often come in with their children, who then play outside in the garden while the adults stay inside and talk. The overall effect is of a friendly, student centered, family orientated environment. The 3 bedroom apartment offered with the job is very large by Japanese standards. It offers TV, DVD and VCR, as well as combined microwave/oven/grill and rice cooker, iron, vacuum cleaner, washing machine, air conditioning and heaters. Two of the bedrooms share a balcony (although the view is not spectacular!) Overall the apartment is very nice, spacious and comfortable. Its a 10 minute bike ride from work and from the train station and 1 minute from the nearest 7/11! In general life in Aboshi is quiet, there is nowhere to have a big night out that isn’t at least a train ride away. It is easy enough to catch the train and spend the weekend in Osaka, Hiroshima or wherever else however. Aboshi makes a good base from which to explore the Kansai region. It could also be argued that Aboshi provides an excellent opportunity to save money! Overall I would recommend The Queens. The town may be quiet but the apartment, the working environment and the opportunity for personal career growth and job satisfaction more than make up for it. In the town of Aboshi, I found that most locals welcomed me, and wanted to get to know me.? I became a regular at the small restaurants and bars which I frequented in the local areas.? At first, I felt nervous, but after some time, I came to realize that the local merchants were much more nervous than I was.? They are all very curious, courteous, and helpful.? It wasn’t long before activities which caused initial stress, such as ordering food and drinks, became fun.? These restaurants became great places to relax at the end of the work day.? Near the apartment provided by the Queen’s is a large park.? There is a basketball court, baseball field, and lots of places to just sit and relax.? I would often go to this park to play Frisbee, go for a walk, look at the stars, or play basketball with some random high school students.? I was always welcomed and encouraged to compete, despite my lack of Japanese language knowledge.? Himeji may be a small city by Japanese standards, but it usually fit my needs for entertainment.? Once I exited JR station in Himeji, I immediately saw the best castle in Japan, Himeji Castle.? It overlooks the city.? Near Himeji is Mount Shosha.? Mount Shosha is exactly what I pictured “old Japan” was like, and it is famous for its use in the move “The Last Samurai.”? It is well worth the trip, and was one of my favorite experiences in Japan.? Himeji has a lot to offer, as there are many places to shop, eat, sing, play, and enjoy.? Himeji is also close to the larger cities of Osaka and Kobe. Whether you are interested in Japanese lifestyle, or meeting other foreigners, Himeji is a great place to be. Teaching at the Queen’s is not for everyone.? Though the amount of teaching hours are much lower than other “big schools”, the amount of preparation required for those classes is greatly increased.? Teachers at the Queen’s must be ready and willing to consider the wants, needs, goals, and level of each individual student, as the student body is very diverse in age and level.? Some students may want to improve their writing ability, while another may be preparing for a trip abroad.? Obviously, the same lesson can not be used for both.? Teachers at the Queen’s must learn how to assess student needs, and address those needs by finding, adapting, or producing resources to fit those needs.? Though this may seem like a daunting task, the satisfaction from witnessing your students improve make it worth the effort. The students at the Queen’s are quite focused and willing to learn.? As this is a private school, almost every student I taught understood how important it is for them to learn English.? Most students motivate each other to work harder and learn more English.? Teachers must realize that although the students are often shy, they are very eager to communicate in English.? Patience is required, as well as the ability to make students feel comfortable with making mistakes.? Chatting time is a good opportunity for teachers to make a mental note of the mistakes students make, and incorporate these weaknesses into future lessons.? Hot correction can be done in the chatting salon as well, but only after the students confidence has reached a certain level. Oftentimes, I would approach high school students in the chatting salon, only to discover that they are actually studying mathematics, science, or another subject.? Though I was not required (or able) to help the students with these tasks, I believe this fact speaks volumes as to the healthy learning atmosphere at the Queen’s. One of the ways that the Queen’s is so unique compared to other English schools is the fact that teachers are welcomed and encouraged to interact with students outside office hours.? This interaction can take various forms.? For me, this included many dinners with students, games of basketball, drinks at a bar, and even road trips.? The interaction outside of school is beneficial to both students and teachers.? The students and teachers become more comfortable with each other, the students have more opportunities and motivation to study English, and the teacher who is new to Japan has somebody to show them around, give advice and help them settle in.? I encourage new teachers to take advantage of the unique opportunities offered by the Queen’s and its students.?? My first teaching experience in Japan is something I enjoyed very much.? It was undoubtedly made possibly by the resources and support provided by the staff, students, and atmosphere of the Queen’s.? For those of you who are looking for a challenging and fulfilling experience in Japan, I recommend the Queen’s experience.? If you are serious about working at the Queen’s, and have any more questions, please feel free to contact me.